If March belonged to Iron Fist and The Defenders have moved in to occupy August, then Marvel and Netflix’s Punisher spinoff series will be with us in November. At least, that’s according to Irish director Dearbhla Walsh (Fargo), who told The Hollywood Reporter that The Punisher is set to air via Netflix some time in November. Walsh, who helmed one episode of the Jon Bernthal-led standalone series, stopped short of disclosing an exact date – likely because Marvel isn’t ready to announce anything official until the four reluctant heroes of Hell’s Kitchen and Harlem become one super unit – but if nothing else, her comments ought to offset fears that Marvel and Netflix were on the verge of delaying The Punisher into 2018. One other time that hasn’t been aired yet, which was an episode for the new Marvel series The Punisher, which I did just before Christmas, but it’s not airing until November. I directed that in New York and edited in L.A., but this was my first directing experience in lovely Canada. Assuming Dearbhla Walsh’s estimation is correct, The Punisher would be sharing its release month with Taika Waititi’s Thor: Ragnarok, and though the TV and film arms of the Marvel Cinematic Universe tend to operate on two different tracks, head honcho Kevin Feige has hinted at the possibility of a crossover further down the line. Frank Castle, meanwhile, has been rumored for a cameo role in The Defenders, which will kick off its eight-part season on August 18th. 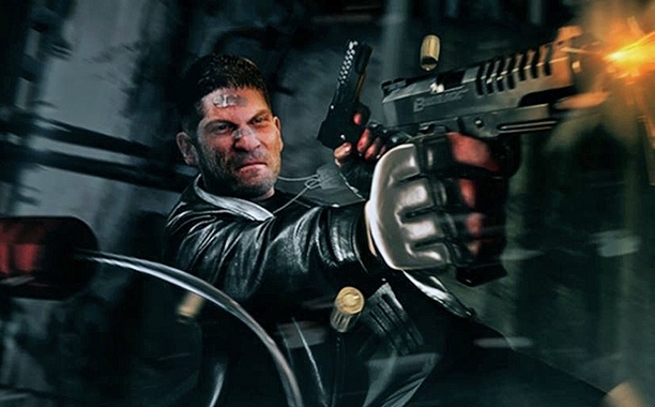 One way or another, we know Bernthal’s glowering badass will be back in black – quite literally, as it were – when The Punisher drops later this year.